At electric plum, we create cross-platform and native mobile apps, mobile web apps, iPhone and iPad Simulator technology, and developer tools. Our products are used by thousands of developers and end users every day. The new HTML5 and Mobile Web powerhouse for developers and designers that will revolutionize your mobile first workflow. HTML5.Assist and Mobile Studio have been updated with Visual Studio 2015 support. We've taken our best-in-class simulation technology to the next level, and added innovative responsive design support, multi-instance support, synchronized navigation, and 5x better support for HTML5! We are excited to announce that Microsoft® has chosen electric plum technology for iOS web simulation in their popular free Web development tool Microsoft WebMatrix 2. WebMatrix includes both our iPhone and iPad simulators, and they are easily installed via the extension gallery. 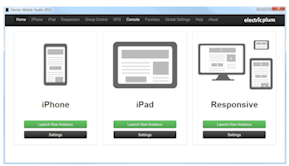 WebMatrix offers a variety of templates that work well on mobile devices and on the desktop. They are built using best practices for jQuery Mobile, HTML5 and CSS3. With these templates, you can create mobile-friendly websites in a matter of minutes. 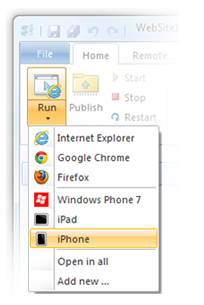 Our flagship product, electric mobile studio 2012 provides a high fidelity simulation of the iPhone and iPad mobile web functionality on Windows Desktops. 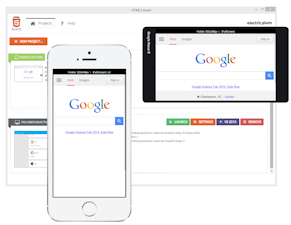 It is a perfect tool for the mobile web developer or presenter's arsenal. GPS simulation, localStorage, accelerometer and touch events are all included. We can help you solve problems. Choosing the right mobile technology is a nuanced decision. Cross platform? Native? HTML5? Mobile Web? Build or buy? These are the questions we'll answer. Need us to build it? We can do that too.